As these elements are more and more important in manufacturing processes, Deguisa has optimized the coatings from the point of view of thermal losses and refractory life. Deguisa offers a complete program that covers everything from the engineering and definition of the transfer elements, to its manufacture and installation. In addition, Deguisa designs and manufactures these elements in a pre-shaped shape that allows the customer greater availability thanks to its quick and simple installations improving drying time and safety as the piece is delivered pre-dried. Quick installations and start-ups with the shaped launders. 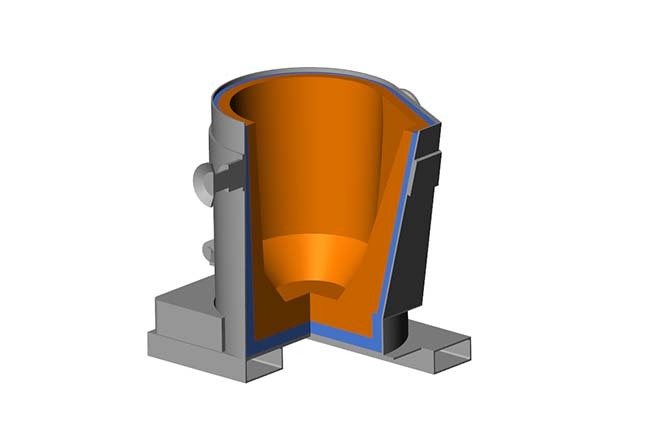 Deguisa offers a technical department for the coating and improvement of refractories. Do you need more information about Laddle and transfer elements lining or about other products or services? Send us your details and we will contact you.